Anatomy Scan Done! – It’s A Boy!!! Whew, the most important ultrasound is behind us now. I was a bit worried they would find some anomalies in the organs; especially the heart, which is a more common issue than one would think. But no, everything looked fine. Baby was moving sooooo much! Wow! I’m starting to wonder if we have a hyperactive child in the making here. The doctor assured me this is a good thing. But I don’t know you guys lol That baby was moving a ton! The doctor had a hard time measuring everything because of it. At one point she even had a screenshot that showed 7 fingers!!! She had a better look again and it turned out to be just 5. The movements had been so fast that some fingers had appeared double in one shot! Hah! I remember Sam showing clear movement but being so much calmer and mellow. This one is a firecracker in comparison.  And it’s not that we just happened to catch it in a busy moment … it’s moving ALL.THE.TIME. I feel it as soon as I’m awake until I go to sleep. And sometimes when I wake up at night to go to the bathroom, I feel it too. Jesus Christ, does this baby ever sleep? Anyway, we were super anxious to find out the gender. 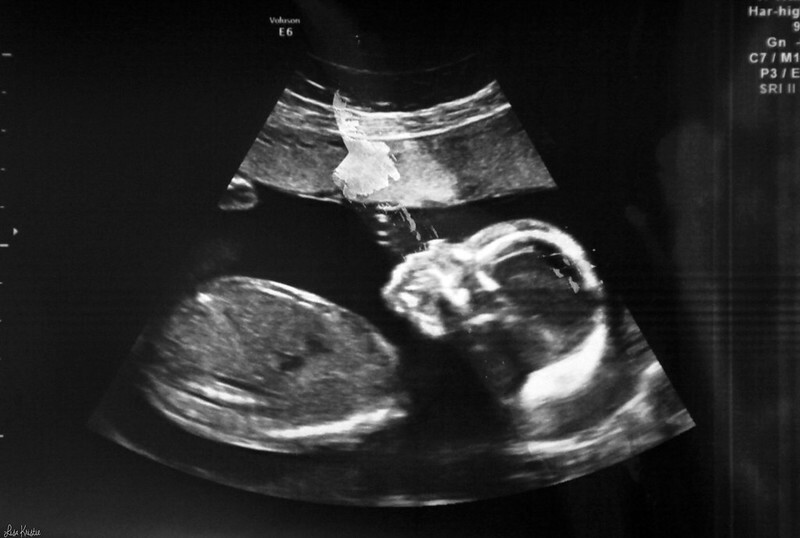 It turns out we had it right this time:  it’s a boy!  Yay! I would have been happy with a little girl too. But a boy is definitely good news. I’d been thinking about how I would feel if we end up only having girls from now on … I suppose it would make Sam’s loss even harder, as he would have been our only little boy and we lost him. 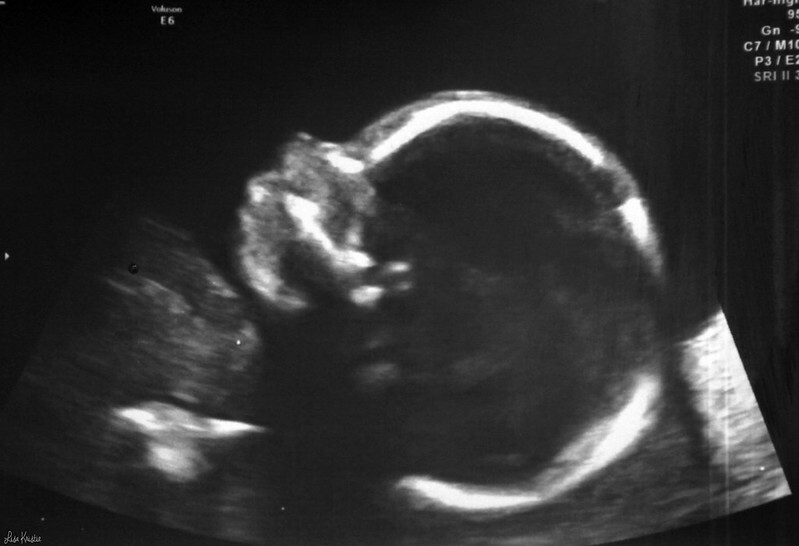 So while a little girl would have been lovely right now, I’m worried I would have felt a stronger preference for a boy in any subsequent pregnancy, and that just wouldn’t be fair towards any baby. Especially since I had always vowed that I would never be one of those people who are dead set on having one specific gender and won’t stop until they have it. But then when you lose a perfect full term baby right before birth … the situation suddenly turns into one big mess that no one would ever choose for themselves, and one of the consequences is that suddenly another baby’s gender is no longer some casual detail. There are a lot of mixed emotions that come with both scenarios. In my case, I personally feel like expecting the same gender again is the best case scenario for me. The easiest to deal with. So, while a little girl would have been loved and adored just as much, I’m now realizing the full impact of how my grief and sadness for Sam could have been amplified if I had only had girls from now on. So, at least we’ve got this out of the way now. A boy it is!  I’m back to feeling like my old self now when I think of any future pregnancy: the gender won’t matter! Whether I now end up having all boys, or girls after this new little boy, I’m cool. His profile looks somewhat different from Sam’s. So I’m curious to find out what he will look like when he’s born. Will he be blond like his daddy and big brother, or will he be darker like me? His profile is adorable. He seems to have a rounder face than Sam did. Not sure who he will end up looking like. We were a little bummed that the doctor accidentally dropped ultrasound gel on the middle picture which created some white smudges. But at least we can still clearly make out Baby’s little profile. 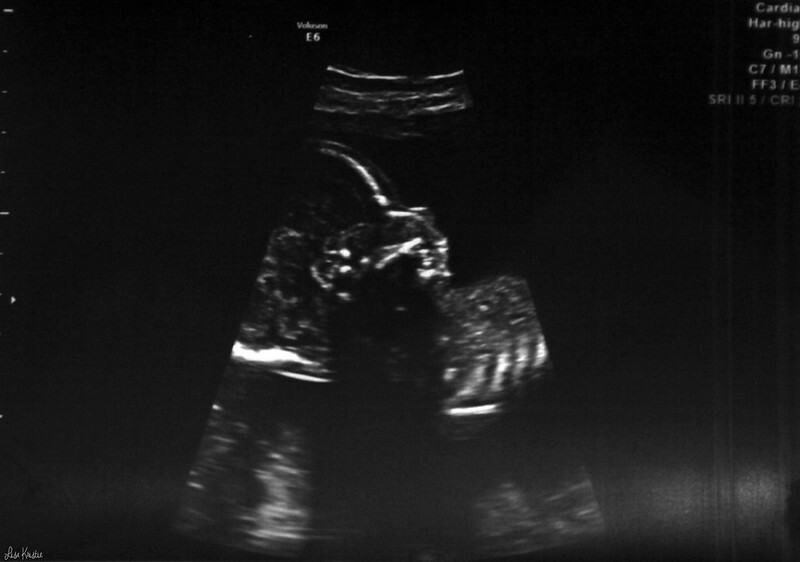 And just for comparison’s sake, Sam’s anatomy scan was made one week later (week 20); he measured 25.6cm and weighed 300 grams. That’s spot on the exact same numbers as the standard growth chart; which – by the way – is measured from crown to heel as of week 20, while it’s from crown to rump before that. Hence the huge difference between week 19 and 20. And the main thing we must now seriously discuss: the first name.  Oy. That’s going to be difficult!